I am very proud to congratulate Dr. Andrew Yiannakis on his research and publication of his book: Jujutsu – Traditions, Ways and Modern Practices. Dr. Yiannakis is a highly trained, experienced and senior sensei of both Traditional Jujutsu and Traditional Kodokan Judo. In addition, he is a Ph.D. and current Professor at the University of New Mexico. 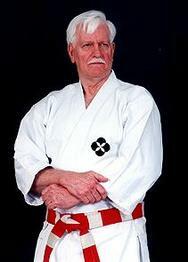 He has spent much of his lifetime learning, training and teaching the martial arts as well as learning and teaching in his academic career. Therefore, Dr. Yiannakis with his outstanding martial arts knowledge and academic credentials brings forth in this book both historical and scientific information of which most has not been available before to the public. This book is an excellent resource for both teachers and students that desire to expand their knowledge of the Traditional Ways and Practices of Jujutsu and Judo. In these modern times when so often the trend is to focus only on the “sport” aspect, it is wonderful to learn more about the ancient arts than just how to “win a match”. Dr. Yiannakis, in the chapters of this book, provides both an insightful read as well as thought provoking scientific concepts about how to further develop the mind and body in harmony for maximum efficiency. Again, with great pleasure, I sincerely congratulate and thank Dr. Andrew Yiannakis for all his efforts to research, write and publish his work in this outstanding book.